North Philadelphia native, Peggy A. Cuff, was eager to embrace the unknown, much like her peers, who were selected to attend J. R. Masterman Laboratory and Demonstration because of their propensity to excel. On the first day, students and parents entering the auditorium felt the excitement of a bright future in the air, not knowing that one of those students would rise to become the class President. From the first day, all who encountered Peggy recognized her engaging personality and leadership abilities- from her teachers to her friends, as well as her community. All were enthralled by her wit, intelligence, and friendliness. Peggy remained at Masterman from elementary school to junior high school (1968-1974) and her popularity grew. She was a confidante to many and friend to all. Peggy was also known to mentor other students who were having difficulty with their studies and seldom said no to anyone. She motivated everyone and was always the peacemaker. Peggy led by example and her interests were broad and varied. One of the dominant characteristics she possessed was her ability to relate to all cultures, genders, and preferences. Her photographic memory of information, events, and birthdays was admired by all who didn’t possess that gift. In 1973, Peggy was elected the 9th grade class President by an overwhelming majority. Becoming class President enabled her to utilize her leadership skills and capabilities. During her tenure, her scholastic achievements, popularity and leadership skills resonated with respect and admiration from her peers. 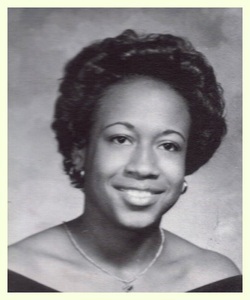 After graduating from Masterman Peggy continued to befriend, lead and mentor others at the Philadelphia High School for Girls until she graduated in 1977. Always the adventurer, Peggy relocated to Colorado shortly after high school. In November 1979, Peggy’s life came to a tragic end. It was an end to a life that had so deeply affected everyone who knew her. In March of 2012, authorities in Colorado were able to use DNA analysis to identify the person who took the life of this vibrant young woman and robbed us of her light, joy and potential. This recent event has brought a measure of closure and comfort to Peggy's family and friends. Peggy Cuff, a driven and caring soul, left a legacy of love and support for others that could never be measured. Whenever you mention her name the response is always positive, respectful, and loving. It is in this spirit that we acknowledge our sister and friend through the Peggy A. Cuff Scholarship Fund.